On the hardware side, embedded systems are principally composed of sensors, actuators and Systems on Chips (SoCs) that themselves assemble heterogeneous components: processors, DSPs, video engines, radio circuits etc. On the software side, they may involve large programs running on these heterogeneous platforms. Compared to classical screen-and-keyboard computer applications, the constraints are much more stringent: efficiency (especially for power consumption), autonomy, real-time reactivity, usability, dependability, and above all, safety. All these aspects come under analysis in this issue of ERCIM News. Until the 80s, embedded systems design was quite separate from mainstream computer design. It was mostly done by control engineers who used specific micro-controllers or programmable logic controllers (PLCs), with comparatively low-level programming languages and technology. Little dedicated research was done in the mainstream computer science community. In the early 80s, a few research groups recognized the importance of the subject and the need for specific design techniques. Three French groups introduced new formal synchronous languages (Esterel, Lustre and Signal), which led to the embedded hardware and safety-critical software design tools now sold by my company. 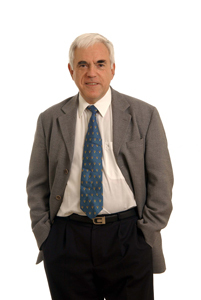 Several groups worked on program formal verification, for which Joseph Sifakis was given the Turing Award in 2007 (along with E. Clarke and A. Emerson from the USA). In Israel, David Harel introduced Statecharts, a breakthrough graphical formalism for hierarchical state machine design, which also had a bright industrial development. At UC Berkeley, the Ptolemy and Polis groups developed new formal technology with applications ranging from circuit design to distributed control over networks. Other labs joined the movement in the 90s. It has to be noted that all the major breakthroughs were made in labs that gathered people from different areas (control theory, programming language semantics, electronic circuit design etc) and that had strong connections with industry. By nature, embedded systems design is multidisciplinary and linked to application. Nowadays the subject pervades all other industries. It is recognized as one of the major areas of information technology, and has the biggest growth potential and the strongest technical constraints. The European Commission has clearly stated these facts and is actively promoting it. Europe currently ranks very highly, with extensive research activity and remarkable successes such as the Airbus computerized aeroplanes, automatic subways, GSM telephones and smartcards. The field boasts a number of large European cooperative groups and Networks of Excellence, including the FMICS workgroup of ERCIM, which organizes a dedicated workshop every year. It is obviously important to maintain this leader position. An essential condition is for the scientific community to gather and discuss, both internally and with industry, current problems and solutions. This precisely is one of the main roles of ERCIM, and I salute this dedicated issue of ERCIM News for its breadth and openness.